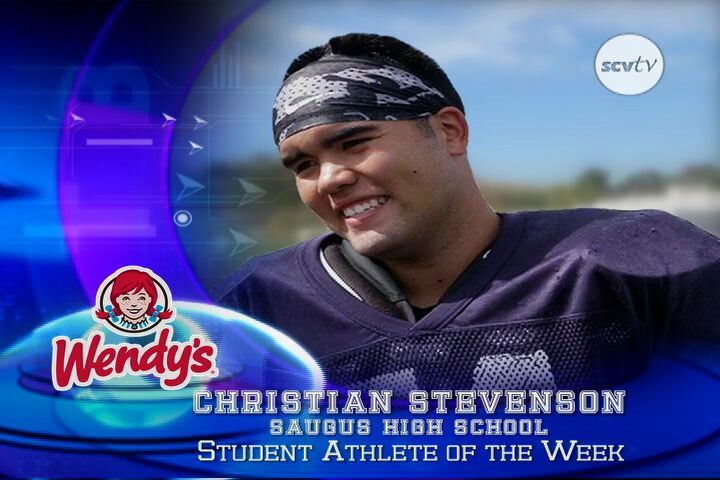 This week’s Student Athlete of the Week, presented by SCVTV & Wendy’s of Santa Clarita, is Christian Stevenson of Saugus High School. Congratulations Christian! Congratulations to you Mabel and Tony! Congrats Christian! Excellent job Mabel (and I guess Tony, too). SO proud of you Christian!!!!!! The kids just watched this video and LOVED it! Quality young man right there.